In all honestly I had no idea what these garlands were for when I walked past the vendor stall on Buffalo Road in Singapore’s Little India. I did, however, know they were ABSOLUTELY stunning. The smell was perhaps the sweetest part. That many flowers in such a small area was practically overwhelming. The other think I will always remember about this was the bees! The smell not only appealed to me, but also to our little pollinating flying friends. All over the flowers (you can see a few on the white blooms) were hundreds of bees! I didnt want to hang around too long, but I grabbed this photo of these bridal flower garlands before I got stung! 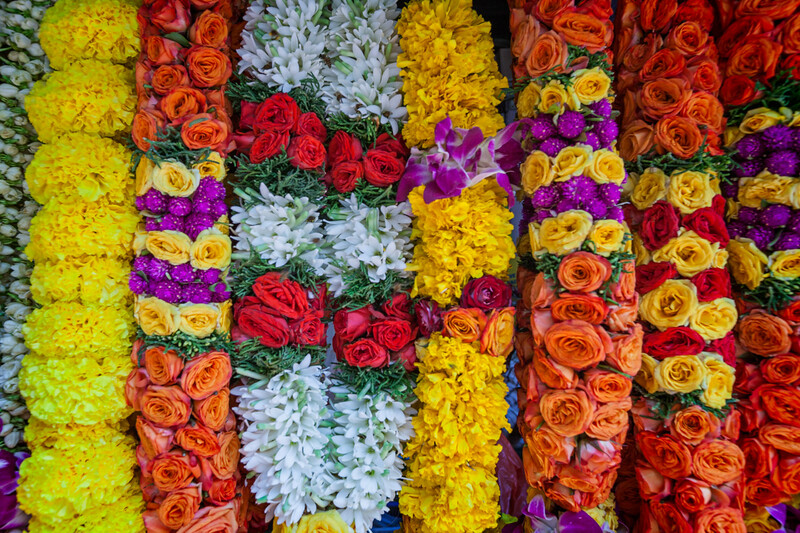 Posted in HDR Photography, Singapore, Travel and tagged Asia, flowers, LIttle India, Singapore by Bri Duncan.